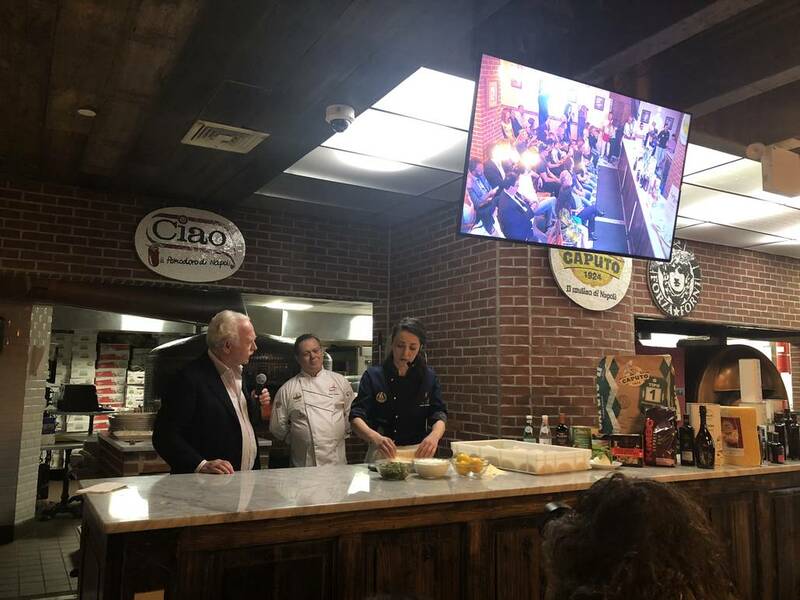 Le Strade della Mozzarella came back in New York City with its third successful edition, gathering food lovers, entrepreneurs and a selection of the best Neapolitan and Italian American pizza makers in the world. A particular attention went to all Made in Italy products and quality ingredients of the Mediterranean diet, such as Mozzarella di Bufala Campana DOP, San Marzano Tomatoes and Extravirgin Olive Oil. 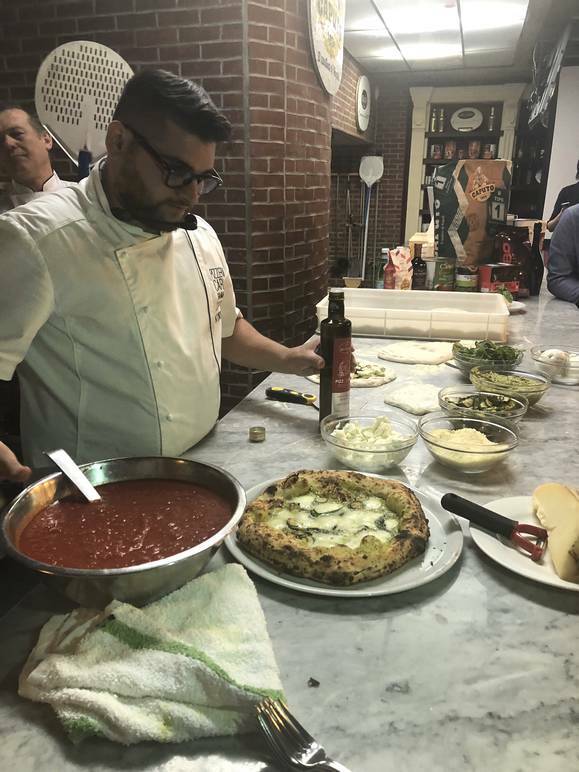 On June 27 and 29, Roberto Caporuscio’s Kestè Pizza & Vino in Fulton Street hosted the third edition of #LSDM Le Strade della Mozzarella, an organization which promotes all Made in Italy products, especially those tight to the pizza world. Thanks to the support of Mulino Caputo, which has been producing the flour in Naples for over three generations, the culinary congress gathered food lovers, entrepreneurs and pizza makers with the aim of reducing the bridges between US and Italy by discovering the best ingredients of the Mediterranean diet. Among them: Mozzarella di Bufala Campana DOP, San Marzano Tomatoes, Provolone Val Padana DOP, Pasta di Gragnano IGP, Extravirgin Olive Oil, flour and dough, Aceto Balsamico di Modena IGP, Prosecco DOP and Neapolitan coffee. 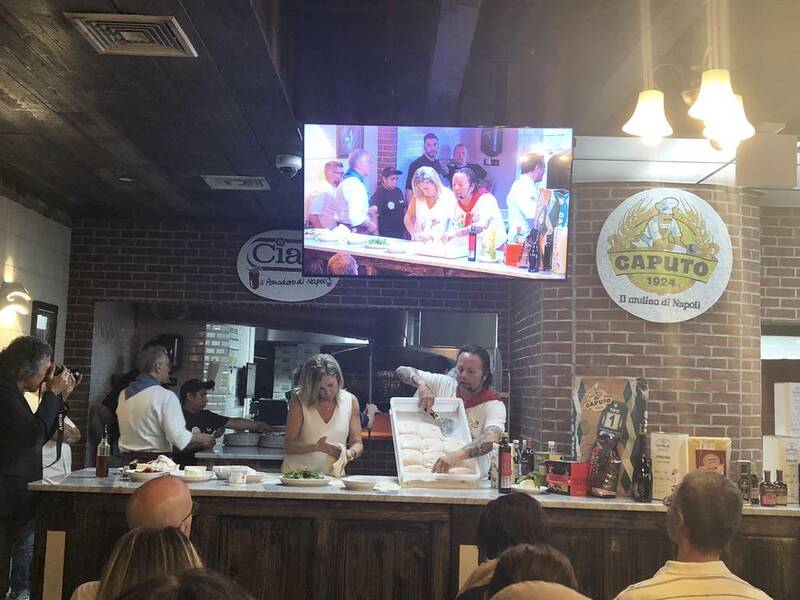 Special guests of the first day event were 5 of the greatest “pizzaiuoli” who are dominating the scene in Campania region and United States. They had the chance to tell their stories and roots, bringing their own personal pizza style. Guido Barendson, journalist of the Italian daily La Repubblica, introduced Giorgia Caporuscio, who is a representative of the new generation of pizzaioli. Her passion for pizza exploded when she moved from her hometown (Terracina) to New York, where she soon followed in her father’s footsteps. Together with him, she created the so-called Pizza Cetara combining the authentic tradition of Neapolitan pizza and the flavors of Mediteranean Sea: stracciatella di bufala, sautéed zucchini with Cetara anchovies, basil and a grated lemon peel. 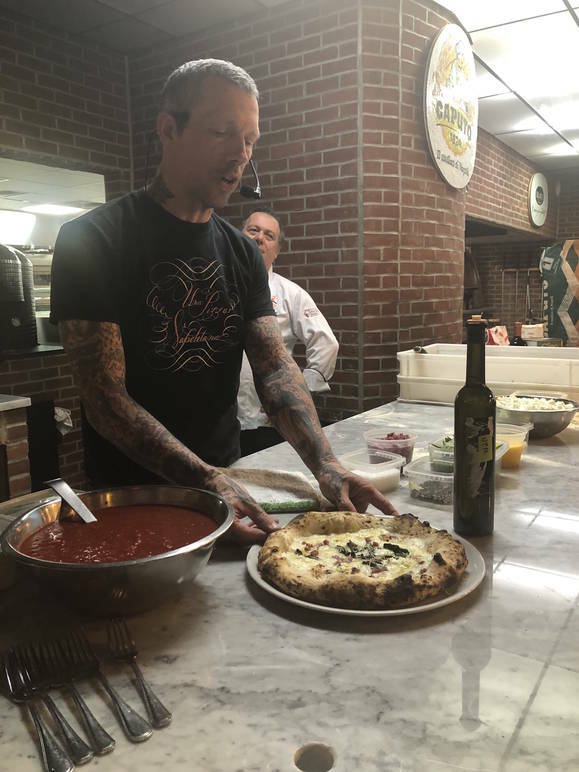 Presented by the chef and food promoter Hope Cohen, Tony Gemignani prepared a pizza with the classic ingredients: mozzarella, red tomatoes, fresh basil, provolone and crystallized basil. His love for pizza was born during his honeymoon in Naples. Today he directs Tony's Pizza Napoletana in San Francisco. He usually proposes other specialties of pizza to his customers because "the most important thing is to make people understand the differences and appreciate the qualities." 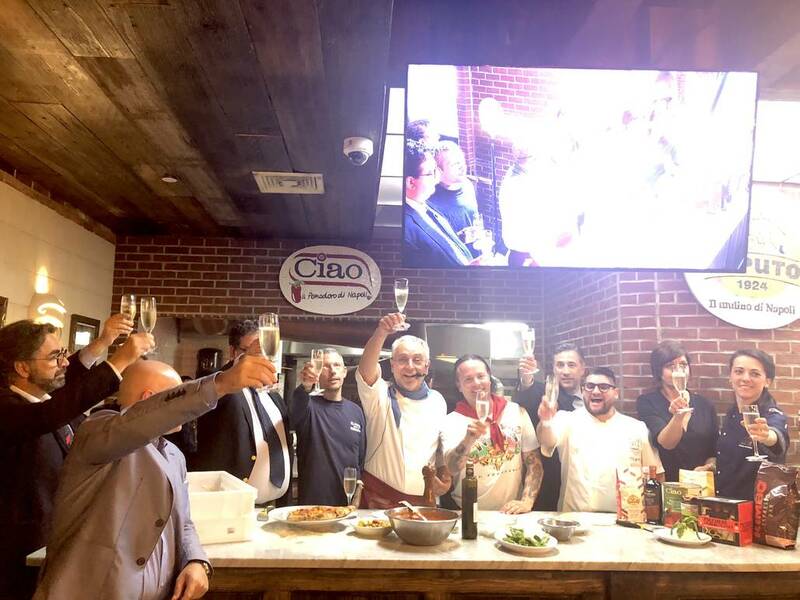 Carlo Sammarco is the owner of Carlo Sammarco Pizzaria 2.0 located in Aversa, in the province of Caserta. His family counts four generations of restaurateurs and he started working when he was very young, learning the real secrets of pizza. He noticed that the most of the “cornicioni” (crusts) were left in the dishes and used to return to the kitchen. Therefore, he tried to change something by studying baking, dough, chemistry, and raw materials. The result was his famous “pizza a canotto”. He is considered now one of the best emerging pizzaioli and one of the main interpreters of an innovative way of making pizza. “Being 27 years old and staying here with the biggest Maestri and showing my pizza style in New York is so exciting! Naples is the most beautiful city in the world to me, but New York has bewitched me. Perhaps, in the future I will open a restaurant in the United States,” said Sammarco. 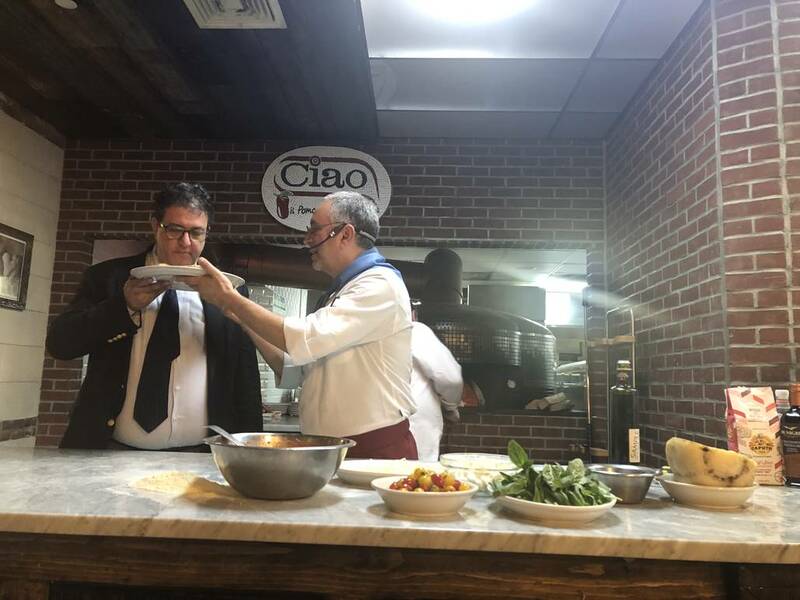 Moderated by food journalist Antonio Scuteri, he presented his Pizza Nerano, a white one with provolone fondue and a zucchini velouté, seasoned with fresh basil and extra virgin olive oil. The fourth champion, introduced by Scott Wiener (the guy who organizes the tour of pie hotspots in New York), was Anthony Mangieri. After a long experience in New Jersey, he opened his pub Una pizza napoletana in the Lower East Side. His career was inspired by his wife, Ilaria, who comes from Naples. 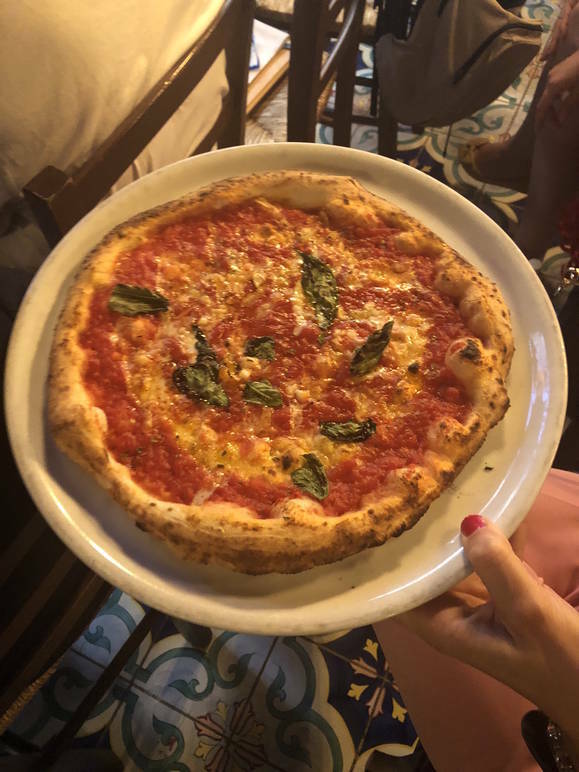 Their daughter, Apollonia, gives the name to his best creation: a fusion of American and Neapolitan flavors, seasoned with mozzarella, salami, an egg and pepper sauce that immediately reminds of the taste of the Neapolitan casatiello. 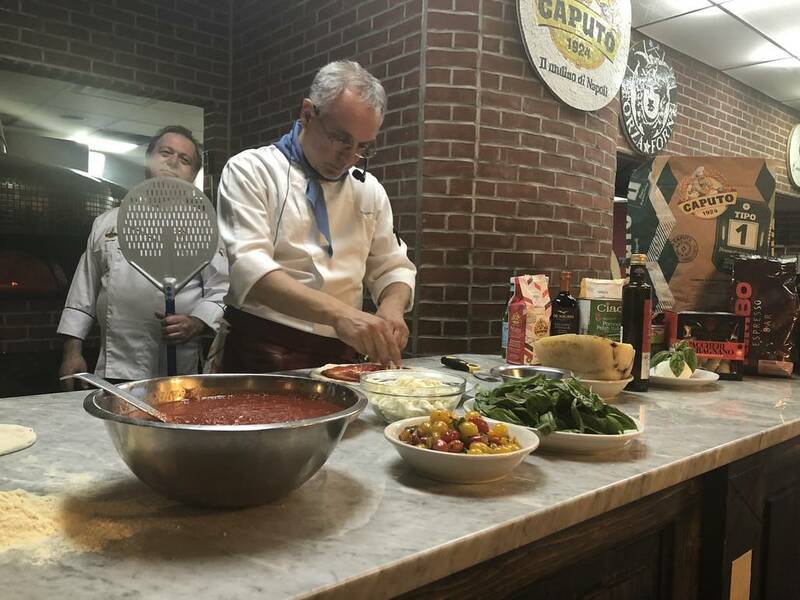 Last but not least, Enzo Coccia, who came directly from his renowned Pizzaria La Notizia in Naples to prepare a marinara with cheese, a baked calzone margherita, and one pizza with yellow and red cherry tomatoes. Defining pizza as an extension of himself, he stated: “Preparing something that is part of the history of my family and the history of my city is what really makes me happy. Transmitting joy to others is always a great emotion because food, besides being culture, is also a pleasure for the soul. Our job is essential, and cooking is something extraordinary, it is an act of love. A pizza can never be good if we do not put our heart, passion, love and technique into it." Hoping that Neapolitan pizza will soon make its way through the junk food around the world, he reminded the sorrowed Neapolitan song-writer Pino Daniele, who said: "Fatte 'na pizza c'a pummarola' ncopp, vedrai che il mondo poi ti sorriderà" (“Make a pizza with tomato on top, you'll see that the world will smile back at you"). Coccia was presented by writer, journalist and gastronome Luciano Pignataro. As Luciano Pignataro explained about #LSDM, the basic idea of this important showcase is to bring out the great quality work that has been done in Italy in the last ten years. “All the world is ready to accept it because pizza is definitely an urban food. People love it because it is environmentally friendly and they want to be reassured on the healthiness of the products used. On the one hand we intend to export taste, on the other hand we want to export health.” With this operation, the traditional Neapolitan style is combined with other pizza styles, with which it meets and compares. It is thanks to these events that pizza chefs have the opportunity to grow and improve themselves, exchanging their experiences.